The largest employer for language professionals in this country is the U.S. Department of Defense—a fact that might surprise many people. In fact, national security is a fast-growing and exciting career area for those with strong foreign language skills, offering a wide variety of opportunities that stretch beyond translation and interpretation. The Federal Bureau of Investigation (FBI), Central Intelligence Agency (CIA), and National Security Agency (NSA) all hire hundreds of foreign language professionals each year to work as agents, linguists, and language analysts. Careers in Government Federal Bureau of Investigation “Studying a foreign language can open up so many doors in the intelligence community and law enforcement field,” says Margaret Gulotta, chief of the Language Services Section for the FBI. When hiring special agents, the FBI considers foreign language proficiency a critical skill, just like accounting, computer science, engineering, and intelligence. The FBI hired approximately 175 language analysts and contract linguists last year, many of whom are former language teachers. The agency regularly recruits at the ACTFL Annual Convention. “Becoming a linguist is a wonderful second career. While there is an age cutoff for agents, you can become a linguist at any age. We hire people in their 40s, 50s, 60s, and beyond,” says Gulotta. She explains that FBI linguists are not simply translators. “We call them language analysts because they do a significant amount of language and cultural analysis in addition to translation and interpretation. Our linguists are the foreign language and cultural experts for the Bureau,” she says. 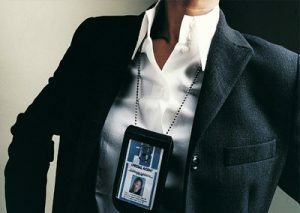 Linguists are hired through the FBI’s field offices and then placed around the country. Every applicant must take a comprehensive language test battery to qualify. Language skills may factor into where a new hire is placed. A linguist’s day-to-day work might include interpretation, translation, monitoring and summarizing audio material, analysis and serving as a subject matter expert on cultural issues. Gulotta describes the position as “every kind of foreign language job rolled into one.” Linguists develop reports on the material they analyze that are then accessed by agents across the country with the need to know this information. They may also be called upon to do verbatim translations and testify if a case in which they are involved goes to court. The FBI has offices all over the world, so the agency needs proficiency in every major language. “We routinely deal with over 100 languages. Of those, Spanish is always in demand,” says Gulotta. “The FBI is probably one of the largest consumers of Spanish in the government.” In addition to foreign bureaus in Spanish-speaking countries, the FBI needs Spanish speakers to conduct its regular business in many cities within the United States. “You can’t do a thorough investigation in many U.S. cities without speaking Spanish. You can’t develop sources, gather evidence, or perform many of an agent’s basic tasks,” says Gulotta. That holds true for many other areas across the country, and with many other languages such as Chinese, Japanese, and Russian. There is no distinction between agents with foreign language skills and those without, but as with linguists, language skills can determine where an agent is placed, as the case with computer science, accounting and other specialized skills. • The Air Force offers scholarships of up to $15,000 per academic year plus $900 for books to students of languages such as Arabic, Chinese, Hindi, Japanese, Russian, and Vietnamese. • The FBI has two internship programs that target Middle Eastern language students. The FBI Middle Eastern Foreign Language Honors Internship Program is open to undergraduates between their junior and senior years and graduate students between their first and second years. • The CIA has co-op programs for motivated students pursuing undergraduate degrees in a variety of liberal arts degree programs, or graduate students pursuing an area study specialty, international relations, or journalism, to work as open source officers studying foreign media. Undergraduates work on an alternating semester or quarterly basis and are expected to spend a minimum of three semesters or four quarters working at the CIA prior to graduation. • The National Security Internship Program at George Washington University (GWU) is a joint program between the FBI and Department of Homeland Security for Arabic speakers. In the program, students spend half of each day at GWU studying Arabic and national security and the other half on the job at Homeland Security or the FBI. The goal of both programs is to build Arabic language capability and introduce students to career opportunities in national security. • NSA offers a Summer Language Program in which undergraduates serve as apprentices to senior NSA language analysts and gain intensive experience exploiting communications for vital intelligence missions. The program also offers a unique opportunity for multidimensional and cross-disciplinary growth in analytical skills. The Summer Language Program is a two-year program that lasts for 12 weeks each summer. Applicants must have taken at least one course per semester in Arabic, Chinese, Russian, Urdu, or Persian Farsi. The program begins the summer after a student’s sophomore year and continues the following summer. At the end of the second summer, some students are given conditional job offers to join NSA after graduation. • The NSA’s Intelligence Analysis Summer Program is an intensive 12-week program for students entering their final year of undergraduate studies. Applicants must have at least a 3.0 grade point average and be majoring in political science, international affairs, intelligence/security studies, anthropology, or regional studies. The program consists of formal classroom instruction, workshops, and on- and off-site facilities tours, designed to build knowledge and skills about NSA, the signals intelligence process, and the U.S. intelligence community. This training is combined with an apprenticeship with senior NSA analysts for intensive, in-depth development work on exploiting communications for vital strategic intelligence targets and preparing intelligence reports. • The NSA’s Stokes Educational Scholarship Program covers full tuition and mandatory college fees, textbook reimbursement, a year-round salary, and continued employment with the NSA after graduation. The program is open to college sophomores majoring in Farsi or Russian, mathematics, or intelligence analysis, and to high school seniors planning to major in computer science or computer/electrical engineering. Stokes Scholarship recipients work for 12 weeks each summer at NSA. After graduation, recipients must work 1.5 times the length of study for the NSA (i.e., six years for a four-year degree program).